Recently I moved from Dublin, Ireland to Vancouver, Canada. This series of work reflects this experience. There is an overwhelming urge, that I believe I share with most people, to locate yourself on a map. To point out ‘I am here’. It is comforting to know where you are, and by extension, who you are. I made my own map of my location to assure myself of where I was and who I was in an unfamiliar city. I created maps that in my own mind reflect something that, as a whole, is not yet familiar. 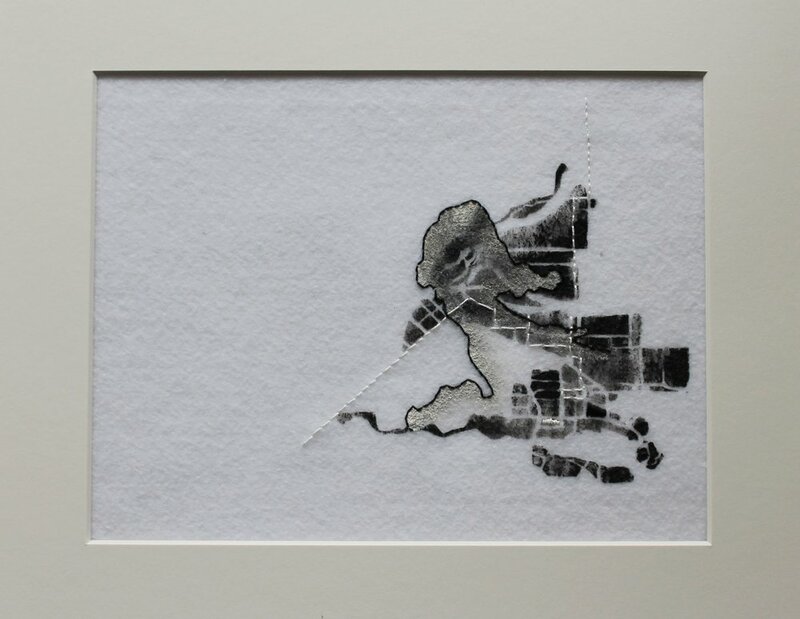 When creating these maps I borrowed some truths—sections of roads and distinctive shapes of the city—and manipulated them to reflect how I felt about the place at that particular time. Some of the sections sit together comfortably, while others seem awkward, overlap, or maybe shouldn't exist on the maps at all. My material choice also reflects these feelings. Fabric paint doesn’t sit comfortably on felt. It doesn’t absorb fully or create satisfying, clear definitive lines, but painting is a fast process. This is in opposition to embroidery, which is time consuming but very sure. I hope to become more certain of my place here with time.